Home » Community » Should Arts Programming Be Free? Here’s what happened: earlier this year, a local school that registered over 500 students to attend one of our free education programs canceled their registration three days before the scheduled event. By this point, we had turned away many other schools who had attempted to register their own students — but because this school did not cancel its registration until the last minute, there was no way for the Nashville Symphony to accommodate other schools who might have been able to use these open seats. Metro Nashville Public Schools requires teachers to submit all field trip paperwork at least 30 days before the date of the field trip. This situation is not an isolated incident and in fact occurs with disappointing regularity. 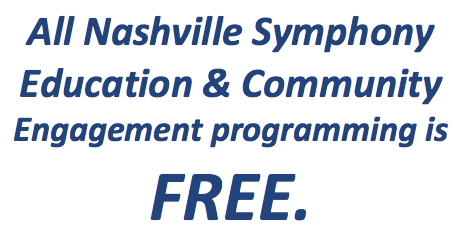 Due to the fact that all Nashville Symphony Education & Community Engagement programming is free, it is not unusual for schools and homeschool families to cancel their registration at the last minute, or not to show up at all, without any prior notice. During the 2013-14 season, over 2,425 students did not attend Young People’s Concerts they registered for, and during 2014-15 the number was at least 2,383 students. Since our programs are presented free of charge, there is no consequence to the party that cancels — these consequences are borne by those who could have attended, but were prohibited from making a reservation because all available seats had been reserved. This has gotten me thinking: Should the Nashville Symphony begin charging for its education & community engagement programming? These programs require a tremendous amount of time and money to produce. Ticket prices and other fees, while not covering all of these costs, would help to defray some of those expenditures. For instance, the Nashville Symphony’s Young People’s Concerts, which are projected to reach over 20,000 students annually, each cost tens of thousands of dollars to produce. They are scheduled a year ahead of time, and many months before their scheduled performances I meet with the conductor and artistic staff to determine the program, which is especially tailored to meet the grade levels of the students attending. 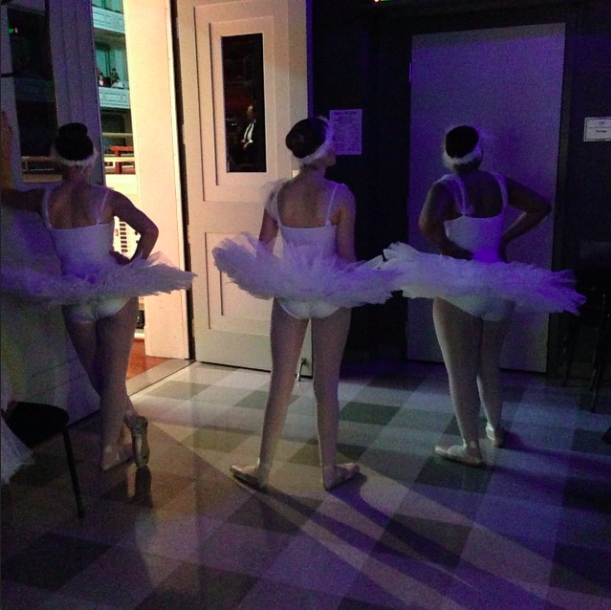 For some programs, the symphony collaborates with community partners to develop special opportunities — for instance, for the last three seasons, we collaborated with the classical dance program at Nashville School of the Arts to create special ballet programs for third- and fourth-graders. Once each program is determined, Education staffers begin to work on a script for each show, and each summer we work with interns to develop extensive curriculum packets, which include lesson plans for participating teachers to use in their classrooms. All of these curriculum packets are published and distributed for free. 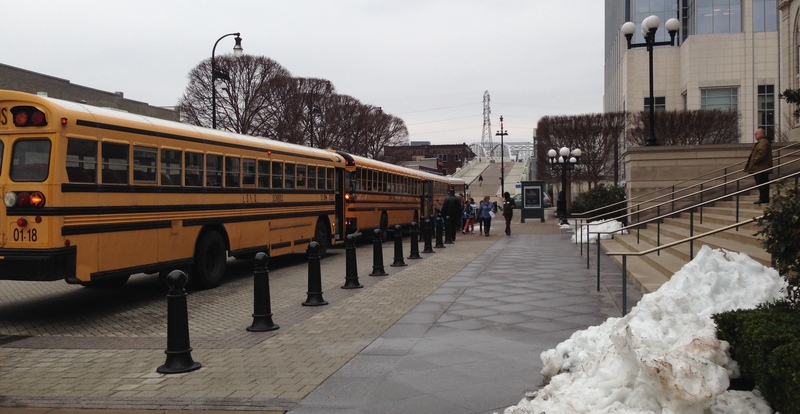 All Nashville Symphony education programs cost money to produce. These expenditures are ultimately paid for by generous donors, foundations and government funders such as the Metro Nashville Arts Commission and Tennessee Arts Commission. We feel accountable to these funders, because they have invested in our institution based on the fundamental principal that we are committed to serving our community. But how can we serve our community effectively if the students we strive to reach aren’t given the opportunity to participate in our programming? This has led some observers to argue that schools and community organizations ought to pay something for services like education programming so that they understand there is actual cost and value involved — in other words, they need to have some skin in the game. The dilemma the Nashville Symphony faces is that if we charge for our programming, the students who would stand to benefit the most — because there is no other way they could access this programming — will be the ones who are least likely to be able to participate. Already, however, trends are indicating that free access to arts education is an endangered species — and all but extinct in Nashville. Currently, the Nashville Symphony is the only major performing arts nonprofit in town that offers all of its educational programming to children for free. Although some of the other institutions in town do provide the opportunity to apply for financial assistance (especially for Title I schools), all of them charge for educational programming. That leaves the Nashville Symphony as the last bastion of free performing arts education programming in our community, but if this programming is not valued and cared for by our community, it is just a matter of time before this too goes away. By walterbitner in Community, Education, Music Education, Nashville Symphony, Nashville Symphony Programs on April 19, 2016 . They could send money in ahead to secure their seat which would be returned upon attendance. Sad you have to do that but it seems to be what is needed. I having been taking my entire school to these programs for the last 3 years. As a title 1 school this is a amazing opportunity for my students to experience something they normally would not. I would suggest maybe charging a last minute cancellation fee. It would break my heart not being able to take my students! Great points here. As a title one, MNPS teacher, I apply for a lot of grants and free tickets. I am always grateful of the tickets and discounted tickets that I do recieve, and have only ever canceled because of snow days. Other organizations seem to charge around $7 as a base starting point. I think it is extremely laudable that you try to provide tickets free of charge to everyone, but 2,300-2,400 is just too many tickets to be wasted. It’s also, as you point out, unfair to the students who would love to attend but couldn’t. I think if you start with a low ticket price, and offer an aplication for free tickets, that might provide the commitment that you are looking for so that students actually come when they reserve tickets. Keep up the good work for our community. The refundable deposit sounds like a good idea. I also taught at a Title I school and felt that students would never have the opportunities to see ballet, opera, or the symphony if we did no provide them at school. Your program is too important to price low income schools out because some else misuses the great opportunity. Bass Hall and the Fort Worth Symphony Orchestra have a great partnership with Fort Worth Independent School District (all public school districts in Texas are independent of the city council, hence the designation). Thanks to wealthy donors across the city, and various grants, arts programming is free to all Fort Worth ISD students. Nearby districts/homeschoolers/etc I believe are charged. Each grade level from 1st through 5th attends an event of some kind. Specialized events for middle and high school students are offered to targeted populations, such as the North Texas One O’Clock Lab Band plays for high school band students. Schools don’t back out because they are a part of the curriculum. These events are also not withheld from kids as a punishment. I recommend formalizing your arrangement with your local school district, as that has certainly helped us. The music education coordinators for Bass Hall and the orchestra are friends of mine… I’ll send you their contact info via private message. They are the real experts in making these things work. Nothing in life is free… whether it is the arts, sports, being in business, and yes… even love. We must sacrifice something in our lives… work or provide a service. Once something if “free”, the recipient will always demand more. That is why our country is in the dire straits we are in.